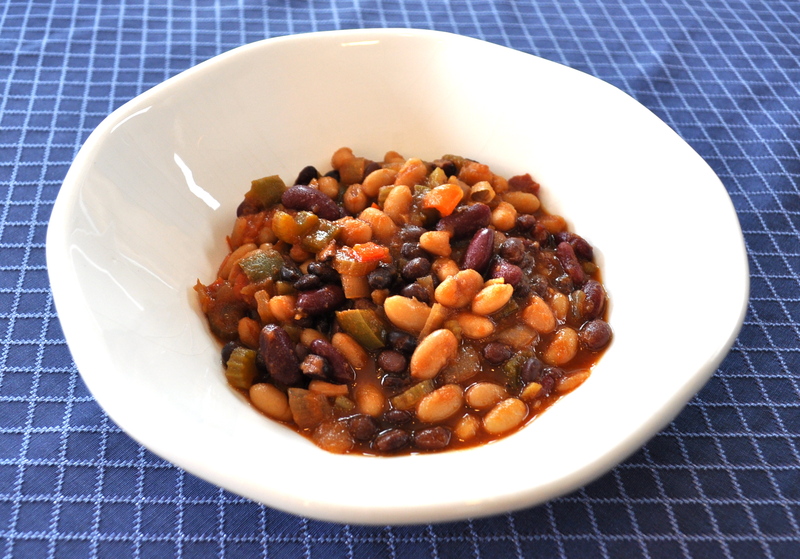 Red, White and Black Baked Beans – Got Nourishment? Beans, beans, the magical fruit… Beans aren’t technically a fruit, but they are quite magical! I won’t go into too much detail since I’ve already mentioned a few times the wonderful nutritional value of beans, but they really are a powerhouse! 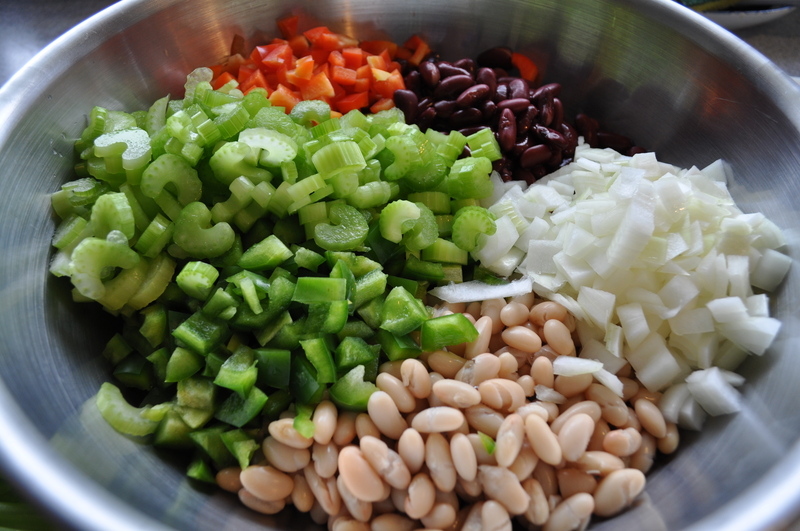 Rich in soluble fiber, protein, vitamins, and minerals, beans are an affordable and tasty addition to any meal. According to the Academy of Nutrition and Dietetics, diets high in soluble fiber are associated with improved blood glucose control, improved blood cholesterol levels, and may help fight heart disease. Need I say more?? HINT: Use a spoon to peel the ginger before mincing. Simply scrape the ginger with the edge of a spoon. This minimizes the amount of ginger lost in the process, as well as saving your fingers! These baked beans are not like any baked beans you’ve had before. The sauce is the secret to the savory flavor that will leave you coming back for more. The ginger perfectly complements the garlic and soy sauce, while the honey and maple syrup provide a hint of sweetness. Trust me. Even non-baked bean lovers will come running for this dish. Rinsing and draining the beans decreases the sodium content. With three different types of beans, this dish is sure to please the crowds…and is easy to make double, even triple! Also from the Academy of Nutrition and Dietetics is some interesting information on different varieties of beans. 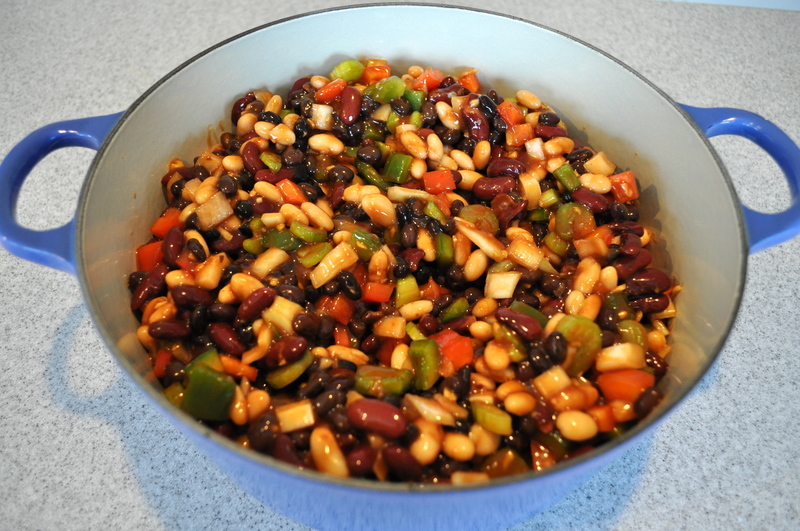 This particular recipe uses black beans, kidney beans, and cannellini beans. Black beans are common in South and Central America, as well as in the Caribbean. 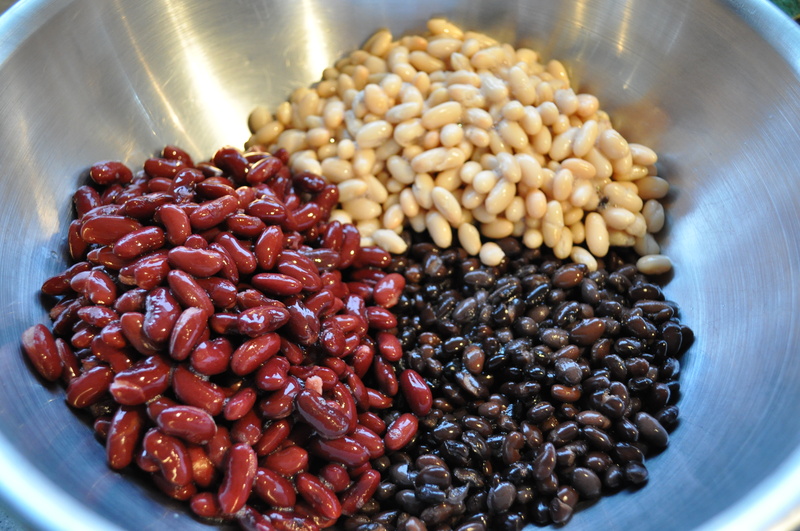 Kidney beans have a hearty flavor and hold their shape when cooked. Cannellini beans, also known as white beans, are common in many Italian dishes. Voila! Perfect as a main dish with some whole-wheat cornbread or simply as a side dish. *You can also use 1 whole pepper, green or red, instead of 2 halves. 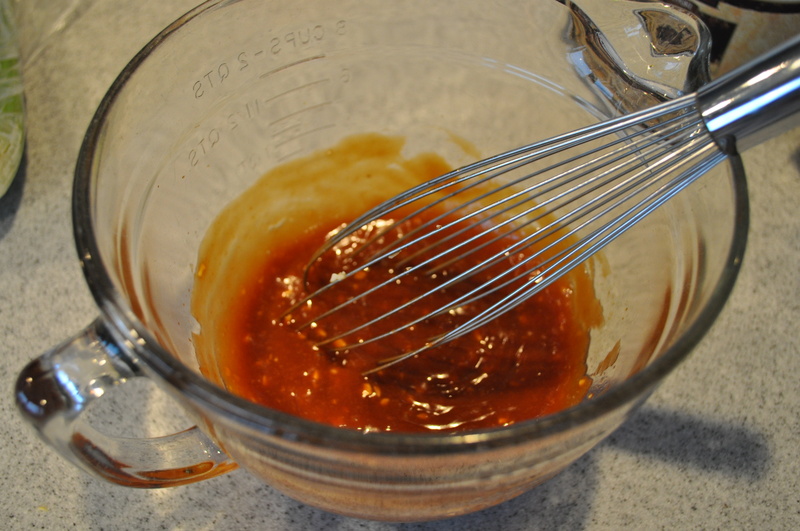 Whisk together ketchup, honey, maple syrup, olive oil, tamari or soy sauce, ginger, garlic, and mustard. Mix together sauce, vegetables, and beans. Pour into a casserole pan and bake, covered, for 1 hour, stirring several times. I used a dutch oven instead. You can alternatively use a crock pot, which works just as well! If beans are not saucy enough, add a bit of water. It is important that the beans do not dry out.